DESCRIPTION: Length 9 to 10mm. A common froghopper best recognised by the the colour pattern of the wings with the distinct white patches and the keel that runs down the midline of the head and the pronotum. BEHAVIOUR: One of the froghoppers that produces a substance known as 'cuckoo'spit', a frothy foam that houses newly laid eggs and yonug larvae. DISTRIBUTION: Widespread through the UK. 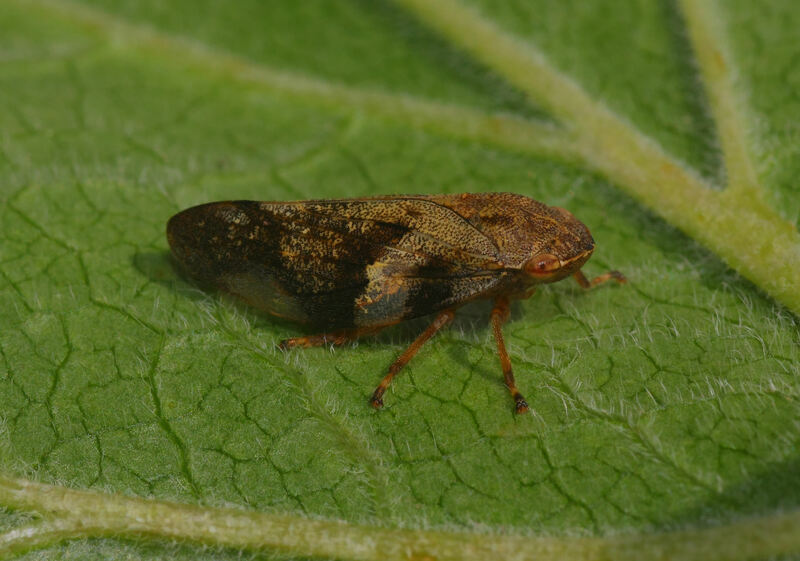 HABITAT: Despite being known as the 'Alder Spittle Bug' this small polyphagous insect is assocaiated with various deciduous trees. It is primarily found around forest edges, hedgerows, pastures, grassy meadows and unkempt parkland. PERIOD: Best seen from May to October.